David Robertson‘s latest strip features some train lamp education. See the previous episodes here. Posted on February 23, 2018 February 23, 2018 by dundeecomicscsPosted in dundee, web comicsTagged codes, comics, disaster, dundee, lamps, shmundee, tay bridge, trains, webcomics. Art by Norrie Millar, coloured by Rebecca Horner. 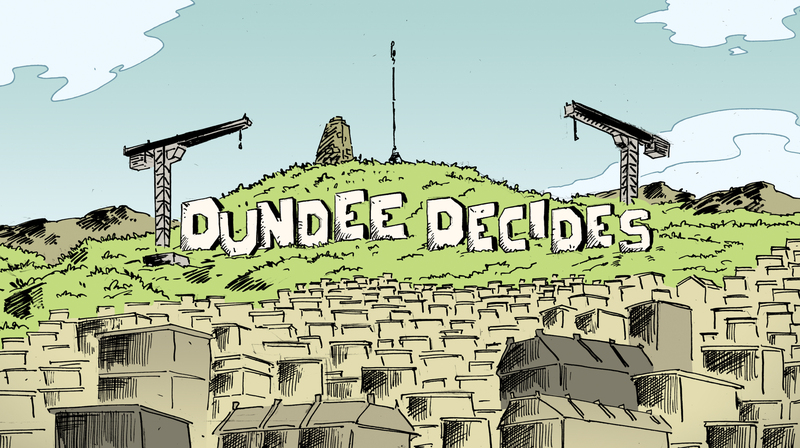 A few weeks ago Ink Pot were commissioned to produce a comic to help promote and explain Dundee City Council‘s new ‘Dundee Decides‘ initiative which launched on January 29th. This is a participatory budgeting exercise where the people of Dundee help decide which priorities are funded through an online voting process. 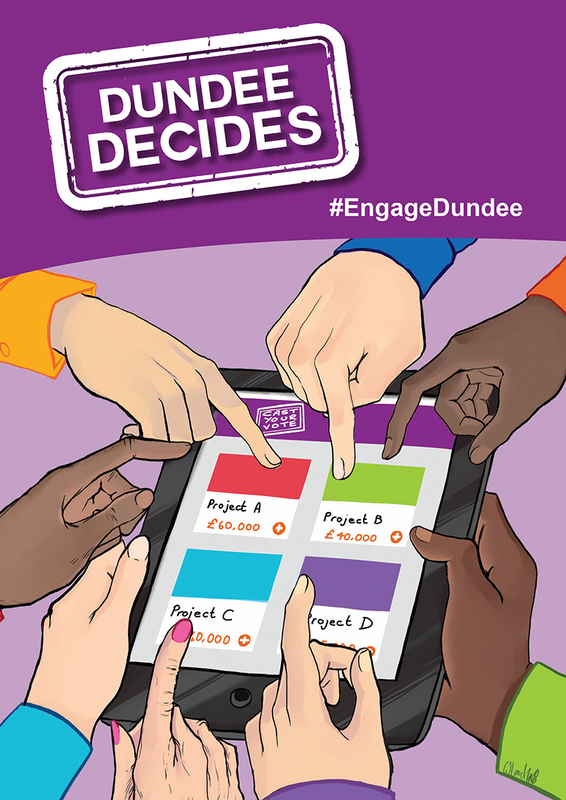 For more details see the ‘Dundee Decides’ website, the comic can also be downloaded here. Posted on February 7, 2018 February 7, 2018 by dundeecomicscsPosted in commissions, dundeeTagged comic, council, dundee decides, Ink Pot, participatory budgeting.